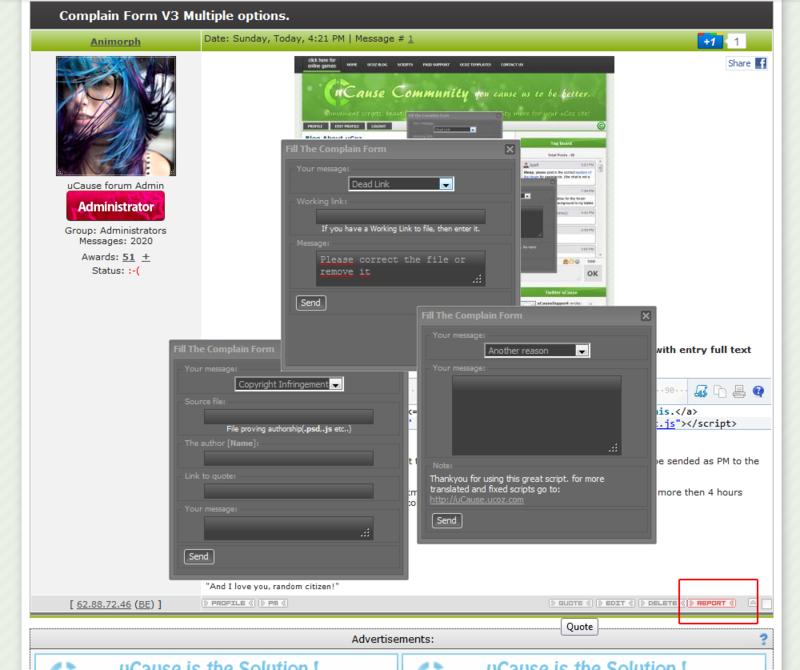 uCause Community » Trash & Archives » Other » Complain Form V3 Multiple options. Complain Form V3 Multiple options. Change "admin name" to the name you want the PM's or Complains to go to. Every complain will be sended as PM to the Admin/admin name of your website. Spliff, No problem , i thought that this woudl be useful for several websites and the russian community of uCoz already has one like this so i thought i would start on it myself and create a translated one without any bugs and working for the english uCoz websites. animorph, it doesn't work in my website. I've put the exact code and rename the admin name. What's wrong with the code? khen, It should work , on what module are you using it then i will test it out.